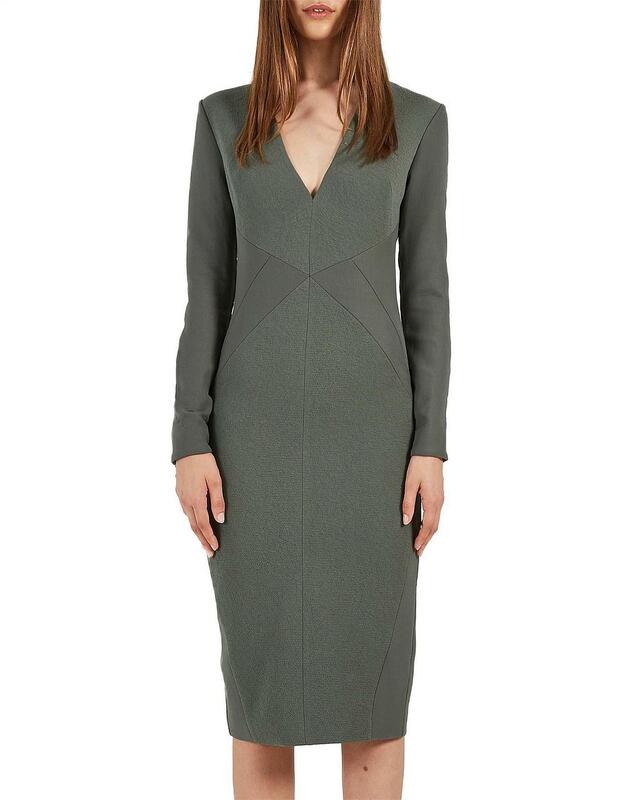 The Anise Long Sleeve Dress with the deep V-neck and zip detail brings focus to the waist through the use of contrasting panels that follow the form of the body. Contrast fabric panels are utilised to create textural variations and excitement. PRODUCT CODE: 1803-1237. FABRIC COMPOSITION: 100% Polyestetr. Our model is 179cm tall and wears an Australian size 8. Long sleeves. Deep V-neck. Contrast panels. Midi length. Contrast gold zip on back and sleeves.